As we write this, there’s still plenty of snow on the ground and on sunny days, the light is almost blinding. This is the month when the melting of the winter snow pack begins in earnest. By the fourth week of May, the temperature in Nome remains above freezing for days at a stretch, the first time since September that we enjoy such warmth. As we begin to emerge from the long arctic winter, we thank you once more for your kindness to our radio mission. It is your gifts and prayers which keep us on the air. May Our Lord greatly bless you for your generosity! RETREAT! (left): In mid-April we were delighted to host Fr. Paul Macke, SJ. In a cabin just outside of Nome, Father Paul conducted a retreat for KNOM’s five volunteers. The spiritual exercise culminated in a staff Mass at Tom and Florence Busch’s home. As always, we remembered your intentions. Father Paul is an old friend to KNOM. In 1979, he served as the mission’s executive director. Later, Father Paul was appointed pastor of Nome’s St. Joseph’s Church. 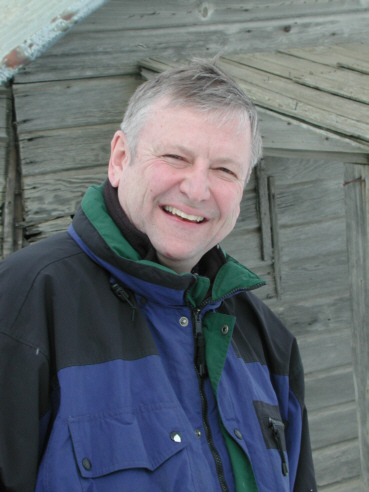 After years ministering along the Yukon River, he now directs Holy Spirit Retreat House in the big city of Anchorage. Thanks, Father Paul. We wish you could have stayed longer! KNOM is the oldest Catholic radio station in the United States. Thank you for making this important work possible, serving villages throughout 100,000 miles of isolated and road-less western Alaska. INSPIRATIONAL SPOT: To know the will of God is the greatest knowledge. Each program raises discussion on important western Alaska issues. This one, produced in Studio C in April, talked about alternative energy sources, such as the region’s abundant wind. Over the years, the show has tackled tough issues, such as law enforcement, smoking, alcohol abuse, the Arctic National Wildlife Refuge, bush health care, and rural teacher turnover. Thank you for helping make these important regional discussions possible! “ISLE” BE LISTENING: In late April, KNOM volunteers Ryan Conarro and John Hall flew to the village of Savoonga (sah-VUHNG-gah), 164 miles west of Nome on St. Lawrence Island. This year, the village swelled by 126 children, 16 of them Russian, as it hosted the Bering Strait region’s tryouts for Alaska’s Native Youth Olympics. Ryan wound up opening the event, singing “The Star Spangled Banner,” and on the spot, John was appointed official photographer. The competition derives from traditional Native games that emphasize strength and endurance. They’re as punishing as their names, for example: foot pull, seal hop, kneel jump and wrist carry. Savoonga is one of Alaska’s most traditional villages. 80% of the local diet is whale, walrus, seal and reindeer. Most of the village’s income is from the Alaska Permanent Fund checks, combined with skilled ivory carving and other crafts. 51% live below federal poverty guidelines. According to a survey by Eastlan and Associates last year, 96.1% of Savoonga’s adults are daily KNOM listeners. INSPIRATIONAL SPOT: Blessed are those who can give without remembering, and take without forgetting. Blessed are those who do not give from the top of their purse, but from the bottom of their heart. 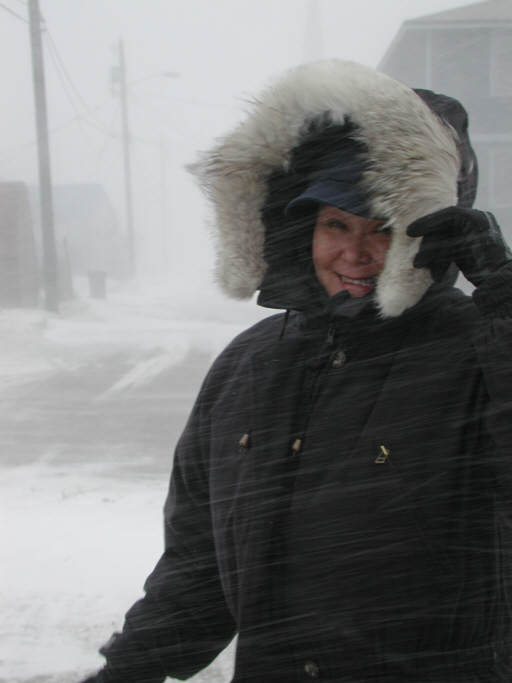 top BLOWIN’ IN THE WIND (left): KNOM business manager Florence Busch walks home just ahead of a blizzard that struck Nome on April 16th. A Yup’ik Eskimo, Florence was born in the village of Pilot Station, 190 miles south of Nome, in the heart of KNOM listening country. Florence volunteered for the station 1975-6. She and general manager Tom Busch married in 1977. She has worked full time at KNOM since 1989, overseeing the business office and the mail. In addition, Florence deejays a few hours a week, and you’ll hear her voice on inspirational spots, and in many of our “Eskimo Stories and Legends” programs. A graduate of the University of Alaska’s Nome campus, Florence is a lay presider for St. Joseph Parish. She and Tom have two children, ages 23 and 20. In her spare time, she enjoys reading, walking and cross country skiing. Incidentally, the blizzard raked western Alaska for about twelve hours, reducing visibility to a few hundred feet and depositing new shoulder-high snow drifts. E-OUCH! Due to a computer problem at our web provider, we lost all incoming e-mail messages between April 15th and 18th. If you e-mailed us during that time, please try again! OH, BUOY! May is when the first oceangoing barges sail from Seattle, headed for Nome with autos and trucks, building supplies and groceries. Many families endure Nome’s high prices by purchasing their canned and paper goods by the case. The vessels will be a welcome sight in June! INSPIRATIONAL SPOT: Jesus taught His followers to invest in love. It is the one treasure that we take with us into eternity. 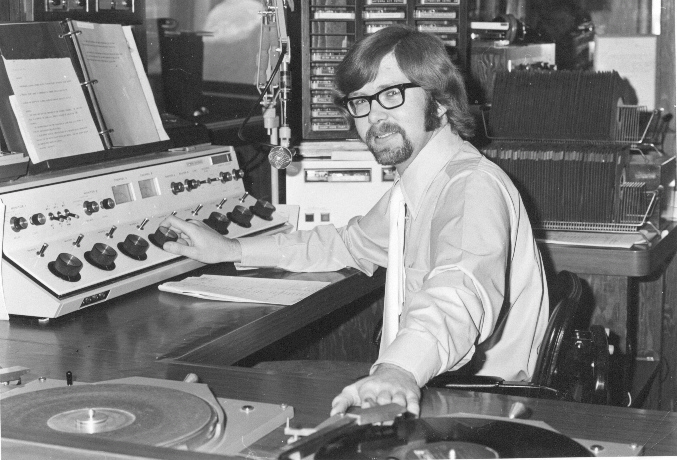 top 30 YEARS AGO (left): In 1972, KNOM volunteer Chuck Newburg deejays a program aimed at teenagers in Studio A, 3PM to 7PM. From Alcester, SD, Chuck is currently sports director for a group of commercial stations in Fairbanks. Behind Chuck, you’ll note two racks of 45 RPM records. Also in May, 1972, Alaska Natives from throughout the state converged on Nome, as Senators Ted Stevens and Mike Gravel (pronounced GRAVV-el) conducted a U.S. Senate hearing on a proposed marine mammal protection bill. As passed by the U.S. House, the bill eliminated virtually all coastal hunting and would have destroyed the Native way of life. KNOM aired the entire hearing live from Nome’s courtroom. 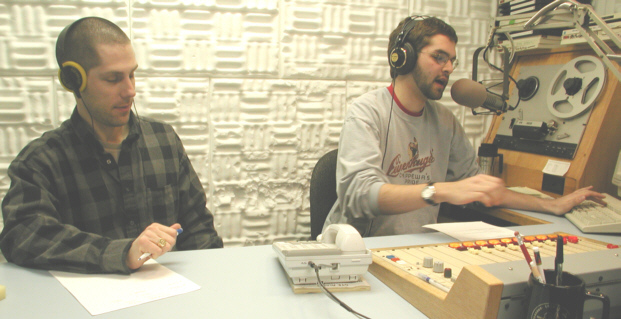 It was the first live remote broadcast in the young station’s history. LIGHT SUBJECT: As we approach the arctic summer, May 16th is Nome’s last day with true darkness. We won’t see the stars again until late August. SOUND IDEAS: www.knom.org includes hundreds of photos, a dozen essays on the mission, and every “Nome Static” newsletter for the past five years. This month, we hope to add audio to our web site, so that you can hear many of the things we do. Initially, we plan to offer a handful of inspirational and educational spots, and a 15-minute sampler of our programming. Eventually, we want to include several “Eskimo Stories and Legends” programs and feature interviews and documentaries. Please watch for them! Several benefactors have asked if our air signal can be made available on the web. At the present time, the cost of doing that is prohibitive due to our remote location. Maybe someday! We thank you once more for your support for our work. Every hour of every day, you help us beam inspiration, education, information and companionship into far-flung Eskimo, Aleut and Athabascan Indian homes. You remain in our prayers. Thank you again! INSPIRATIONAL SPOT: The person who does things that count doesn’t usually stop to count them.